The Newport flowering plum tree and the many other varieties of flowering plum trees are generally used as a focal point in landscape design. This is due to their beautiful spring blossoms, as well as to their size. Flowering plum trees are easy to care for, and the Newport purple-leaf plum is one of the hardiest of the purple leaf-plums, and it is hardy in zones 4 through 10. A mature Newport plum will reach a height of from 25 to 30 feet and a width of from 20 to 25 feet, making it the perfect tree for the front yard or back patio. The crown is round, and springtime blossoms can be white to light pink in color. 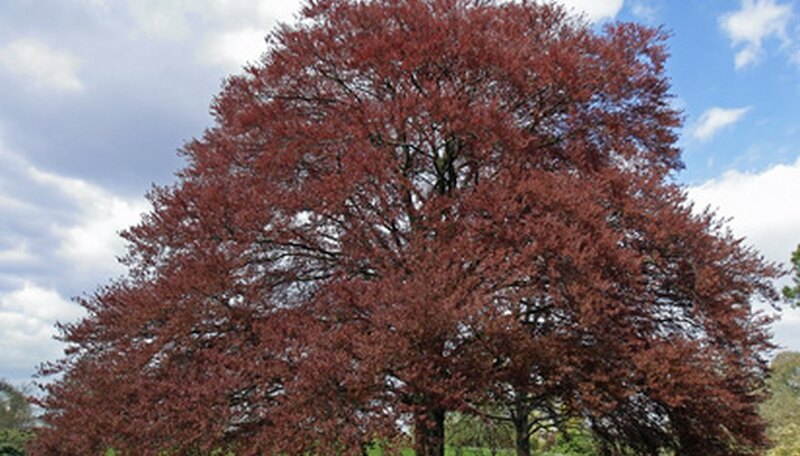 This beautiful tree’s green leaves turn deep purple and it maintains its purple leaves throughout the summer. Plant it in full sun, though it will adapt to most soil conditions. The Newport is also drought tolerant. The fruit is small and appears in late summer. The Newport plum tree can tolerate most soil conditions; however, avoid planting it in soil that does not drain well. They grow best in full sun but can be planted in partial shade. Newly planted trees will require more watering than an established tree. Fertilize the plum tree in springtime before the blossoms appear. Prune the Newport plum tree during the dormant season. Prune to remove dead, diseased, or damaged branches, and to maintain its size within your landscape design. You may also wish to thin out the crown of the tree by removing select branches. This will allow more sunlight into the interior of the tree and will also create better air-flow through the tree. Make sure that your tools are sharp; poor cuts are an entry way for disease. Flowering plum trees are susceptible to black knot disease. This disease can cause severe damage and may even kill the plum tree. It is a fungal disease, and can be recognized by the black galls or knots that appear on the stems and branches. This disease spreads in the springtime as spores from an infected tree are blown in the air to another tree, thus infecting that tree. In the beginning of the infection the galls or knots are green in color; as the infection spreads throughout the tree, they turn black and hard. Two things can be done when black knot disease attacks the Newport plum: Prune away the infected branches and dispose of them (do not put them in your compost bin). Disinfect pruning shears by dipping the blades in either alcohol or bleach (dry the blades of the shear thoroughly). Alternately, you can apply a fungicide that will eliminate the fungus and stop its spread.